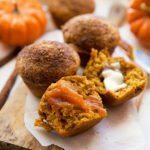 A healthier version of a pumpkin cheesecake flavored muffin with whole wheat, lower sugar, Greek yogurt, and other healthier ingredient swaps. It was finally time to make a pumpkin recipe that doesn’t have chocolate in it. As hard as it was for me, I think I’m a new convert to the pure pumpkin + spice flavors. I don’t think there are too many pumpkin recipes on my site that aren’t paired with chocolate. When I think of pumpkin I instantly think of chocolate because the two together is my absolute favorite. 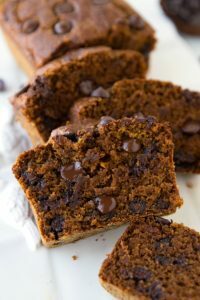 And a good pumpkin bread or muffin that is LOADED with dark chocolate is just insane Fall delicious-ness. 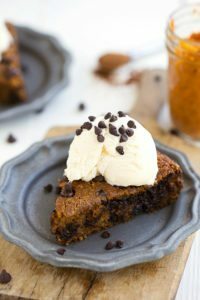 Although the husband likes pumpkin recipes WITHOUT chocolate (crazy I know! ), so I must know, which do you prefer? The great thing about this recipe is it is super easy to add chocolate in to (or nuts! ), BUT these muffins still taste crazy good without the chocolate. The spices really have a chance to shine through and the flavor is pure pumpkin goodness. 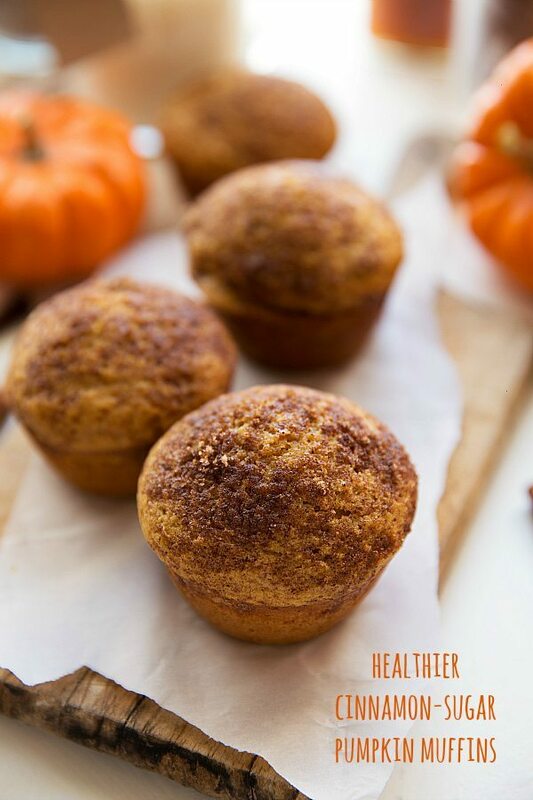 These muffins are pretty dang light & fluffy for a whole wheat, healthier muffin! The best way I know how to describe it is they melt in your mouth. As much as a muffin can “melt.” Each bite (while these are still warm) is super soft and almost cake-like. Which, by the way, you’ll definitely want to eat these when they are fresh out of the oven. They are insane (in the best way possible of course). Another way to keep these muffins ultra soft is to avoid over-mixing the batter. Mix the flour until just combined and then stop! Over-mixing will lead to denser and more tough muffins. The other “secret” ingredient or the secret to the insane texture of these muffins is actually Greek yogurt!! But not just ANY Greek yogurt; I used Yoplait Greek 100 Whips! Pumpkin Cheesecake. Because the yogurt is whipped and a different texture than typical Greek yogurt it gives these muffins that super airy texture I was talking about. Not only for texture purposes, the yogurt is huge for the overall flavor as well. 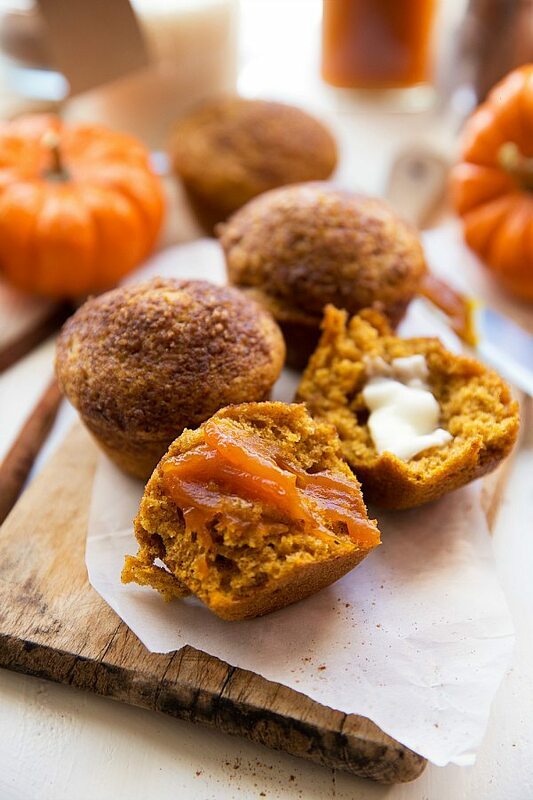 It is what gives these muffins a slight cheesecake flavor and really intensifies the pumpkin + spice flavors. It’s the absolute perfect addition to these muffins and a huge contributing factor to the awesome texture! Oh, and another MUST for these muffins? Pumpkin Butter!! 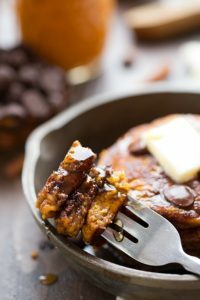 Okay, not a must, but oh my gosh pumpkin butter is good on these!! Preheat the oven to 350 degrees F. Lightly grease a muffin tin and then lightly flour and set aside. In a large bowl, stir together the canned pumpkin, (dab with a paper towel if your pumpkin is excessively "wet." 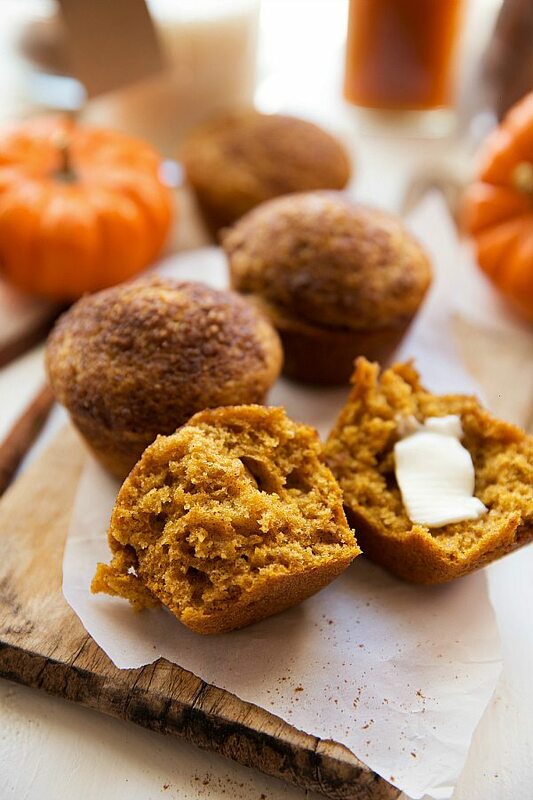 Use high quality canned pumpkin for best results and to avoid overly moist muffins) pumpkin cheesecake yogurt, large egg, vanilla extract, and coconut or canola oil. If using coconut oil, measure when it is completely melted. Stir in the maple syrup until all ingredients are well combined. Add in the cornstarch, baking soda, salt, cinnamon, pumpkin pie spice, and brown sugar. (Increase spices if desired). Stir until well combined. Add in the flour and stir until JUST combined. Over-mixing yields denser muffins. In a small bowl, combine brown sugar and pumpkin pie spice. Stir together. Sprinkle the mixture evenly on top of all of the muffins. Bake for 16-18 minutes or until a toothpick when inserted into the center comes out clean. Remove and allow to slightly cool before removing from the muffin tin. Store in an airtight container in the fridge. Enjoy or freeze within 2-3 days. 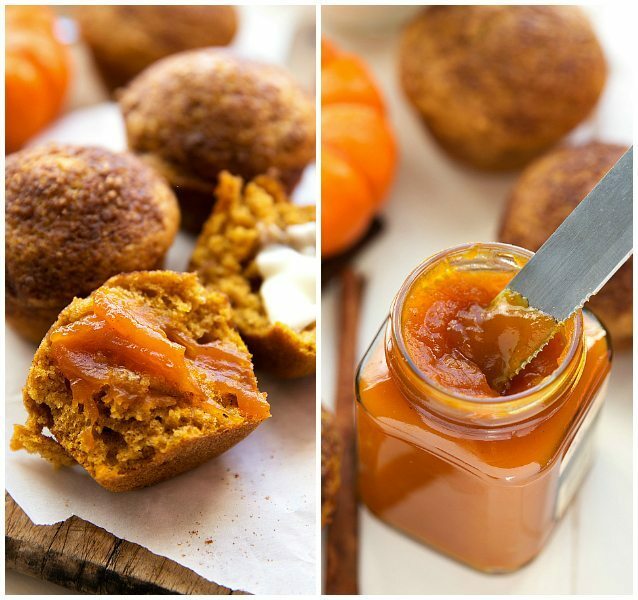 These healthier pumpkin muffins look so good! The photos are making me so hungry right now!! I love that these muffins are healthier, Chelsea! And I also loved that you used Yoplait yogurt in here. Such a great idea! i think I would devour this batch in no time! I always pick pumpkin and chocolate together, too! I bet the pumpkin flavor is even more vibrant without chocolate! Can’t wait to try these! Wow these sound really good and you pictures are beautiful! Love pumpkin and cheesecake! These sound amazing. Can I use with oat flour. 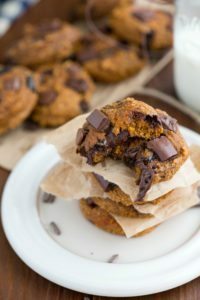 Would it be feasible to decrease the amount of sugar in these (like the lesser sugar amount in your apple bakery style muffins) without affecting the receip too much? If so, how much would you recommend? 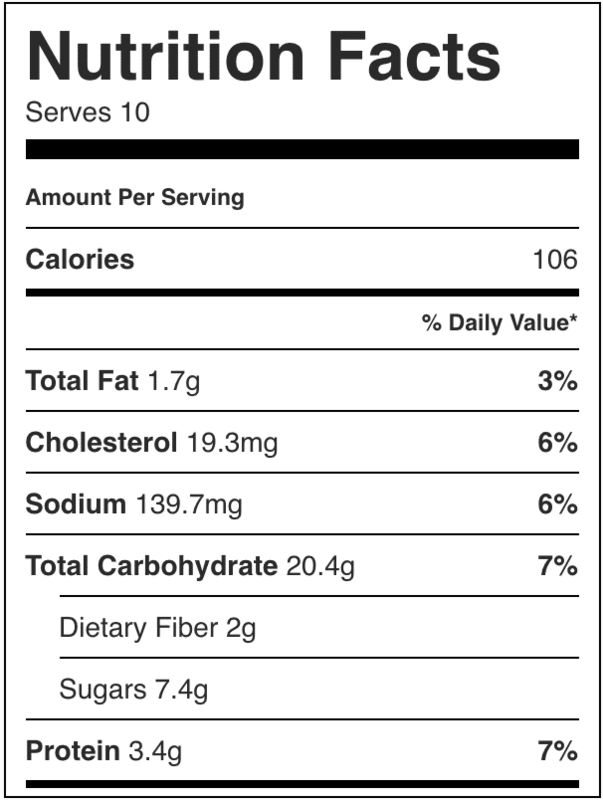 do you know the nutrition facts on these, they are delicious! Is it possible to use another type of yogurt? I haven’t seen the kind you specified at my grocery store. There is greek pumpkin pie yogurt, would it be fine to use that? Thank you! !